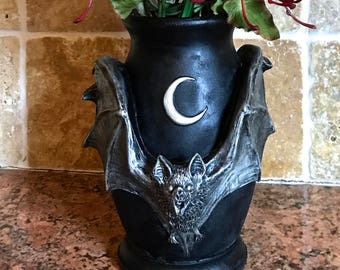 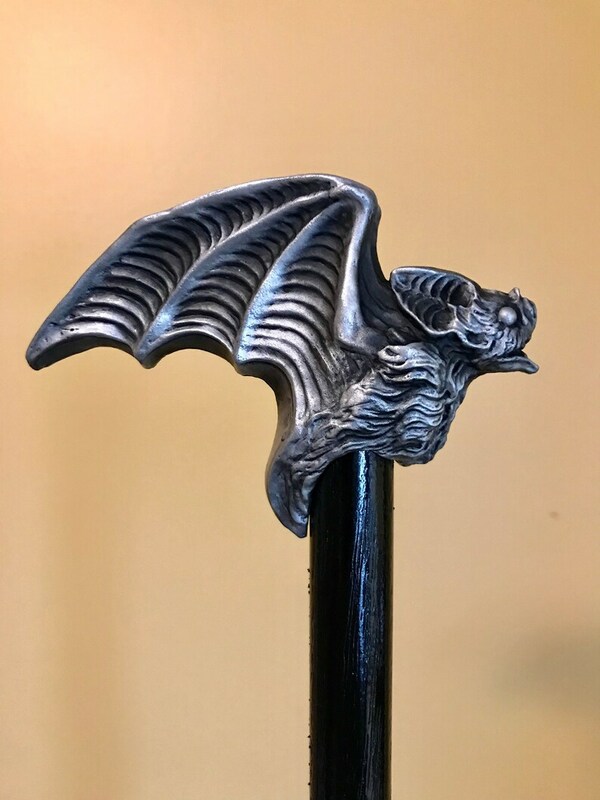 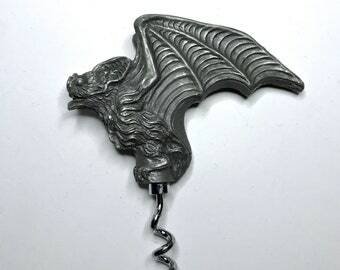 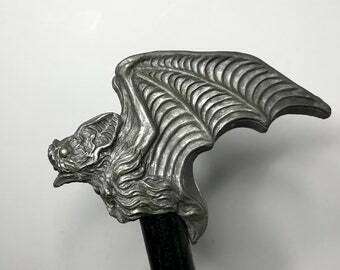 An vampire bat topped cane, measures 38" tall. 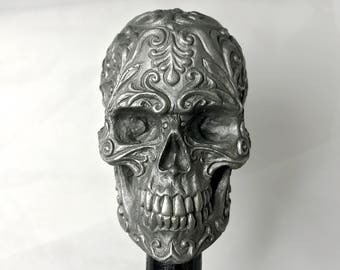 The head is 45" x 3.5"x1.25", cast in a solid aluminum. 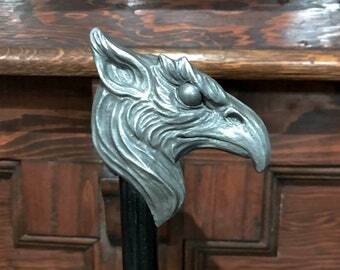 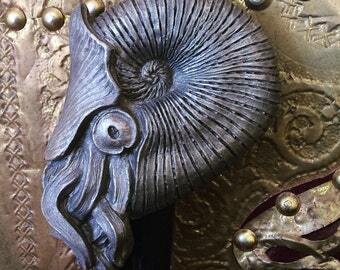 The stick is black varnished oak, 3/4" thick, with a standard rubber cane tip.